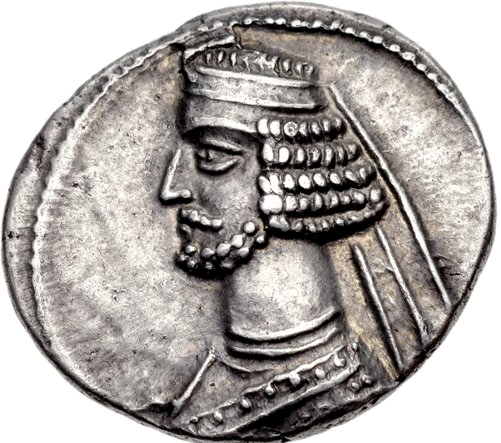 This category covers coins from various pre-islamic Eastern realms such as the Nabataean Kingdom and the Indo-Greek Kings. As such, this category covers a vast geographical and cultural area - and almost a milennium. Here you will find some of the greatest masterpieces of the Hellenistic world - right next to characteristic stylized Parthian haircuts and decidely alien Nabataean issues.